POEditor is perfect online translation platform for localizing open source software projects. We don’t limit you in any way, not even regarding the number of strings you can store in your localization project. 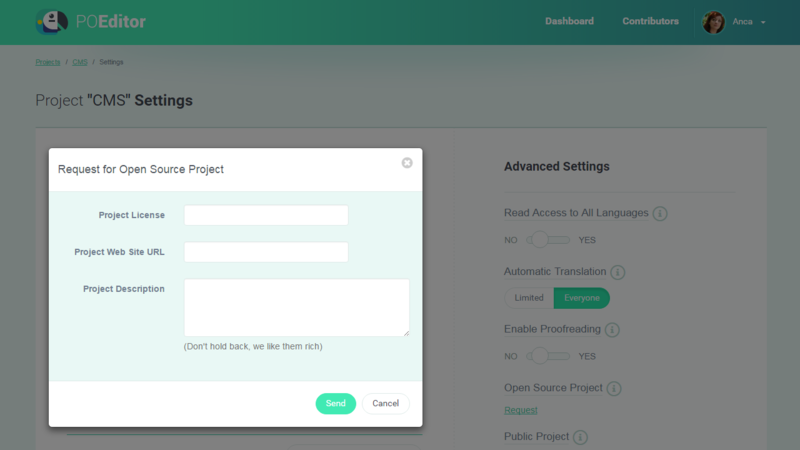 Also, you can choose between localizing the open source software in a private project and crowdsourcing translations from your community using a public project. Not to mention that we have both a GitHub integration and a Bitbucket integration. To set up your free localization project, all you need to do is file an OS project request in Project Settings and briefly wait for our approval.